The following article details my personal top 10 methods to make money from the Internet. This is not an all inclusive list, which means there are plenty of other ways you can make money, no doubt many of which are potentially much more profitable or better choices for your own situation. As a result you shouldn’t base your decisions on what methods you use solely on this list. Do your research and include this article as one resource. What Is My Ideal Way To Make Money Online? To help you understand what I was striving for, here are my main criteria when deciding what methods I use to make money online with. Bear in mind certain options only became available as a result of previous experience. Some things you can only do once you’ve done other things because you build on what you have done before. Can you make a solid profit margin? Can you maintain the income with minimal labour and/or is it easy to outsource? Is there potential to scale? Is there passive income potential? Can you create a sellable asset? I spent quite a bit of time studying eBay, both as a business model and as a means to capture new customers because of how much buying traffic is there. There is no doubt that eBay is a fantastic website that represents a huge potential to make money, but in my case I wasn’t keen to build my business there, it didn’t match enough of my criteria. However eBay is a fantastic way to make quick money, even just as a way to turn your old items into cash to start a new online venture. If you’re brand new to Internet marketing and you don’t know your PayPal’s from your Clickbanks, or your PPC from your SEO, eBay is definitely a great place to learn some basics. My business did well enough, although the manual labor was intense. Maintaining inventory lists, packing cards into envelopes and daily trips to the post office was not always the most fun way to spend my time, though I did enjoy having my own little business while in university. My next big success after my card game site was an online proofreading business. For this business I wanted to focus on selling something that did not require either my own labor or sourcing some kind of physical product. Over the years I heavily refined this business. I brought on an assistant, simplified the services, cemented a pricing model and learned what methods of marketing brought in the best type of client. The end result was a full time income for me and barely a few hours of work to maintain it. Selling a service is a real option for making money online. The challenge is sourcing good people to do the work, learning what specific offer to make to the market, how to differentiate yourself so you earn good margins, how to market what you offer and how to automate the entire process so it becomes a passive income stream. The challenge for you, if this method is relevant to your growth stage, is to create a website where you can command a price for paid reviews that makes it worth your time. Until your traffic is significant, charging more than $50 for a review is not realistic, so you need to build your website asset first. The challenge for you is figuring out what market(s) to enter, building an audience and maintaining relationships with your readers so they trust what you tell them. If you know something that other people want to know and you are prepared to share that information, you could be looking at a fairly lucrative affiliate opportunity. In my case progressing through these various methods, figuring out what I actually want from a business and then combining different methods to maximize my income and personal satisfaction has worked the best. I recommend you follow a similar path to build your own business. Figure out what you like using the options above and other resources online, begin testing to see what works and learn more about what you enjoy, and keep at it until you find what “floats your boat” and is incredibly profitable too. Once you get your foot in the door you can eventually branch out more readily. It takes awhile to settle into an online business, too much ‘noise’ and you are lost. So devising your own system, stick to one or two tutors and slowly build by developing your own product. Set up goals! A nice, overall view of your online earning methods. Certain approaches are definitely going to appeal to some people more than others. I like your final tip in “Combining What Works For You”. And I think that’s the key; to test various methods, see what works, and then combine them to maximize your income. Great article, I agree with your point on preference of potentially passive income over that of potentially scalable income. I run a couple of websites and also offer an internet service which I have been thinking about writing a information product about but I’m scared this will ruin my profits on my service (which is my bread and butter) if people by it and then flood the market! I wouldn’t worry about teaching what you know. It’s not like everyone will actually take action and do what you say – that is a rare quality, so you just focus on being the best teacher you can be, that’s all you can worry about. Anyway,this is a great articles,especially in your personal experiences, although i scanned it. Idea: Before you write your ‘information products’ learn to spell. I think you’re onto it Graham. It’s a good comprehensive review. While it is great to read about the path others have taken to get to success, it’s also important to blaze our own trail. I have users few of these methods as well. Thanks for sharing your experiences. What a great post Yaro. Making money online is not that really easy. The methods you have shared is really useful specially for those who are just starting to make money online. I have applied some of your methods and it really help me alot. Once Yaro you’ve written another spot on article. I’ve found pretty good results with affiliate marketing, but it’s not easy money. You do have to put some work in. Still, nice post and also have to say love the addition of the new writers. That just means more awesome content from you. It will always depend on the niche you’re, but in most cases the top way to make money is by building an email list, KNOW your audience, KNOW your list members, and send them interesting and useful affiliate products. Others like Yaro are experts in terms of Memberhsip sites and Coaching. Ultimately if you are selling a great product at a competitive price, people will statistically buy from your business over your competitors. Take care of your customers and they will take care of you. Again, thanks to Yaro for sharing his first hand experience as it can be tough to get that kind of insider info for entrepreneurs who are starting out. Yes, selling your own product + having a decent email list = Success. Yes agree with you, because you can build an army of affiliate. Promote your product. I have tons of Magic cards and I never sold a single one online, like your age 16 or 17 if I still remember, I sold every single card just at the location where magic players like to hung out. Anyway, I earn my first dollar online selling an ebook as an affiliate through article marketing and now its still on going as an income stream for me. Yaro, do you live to build online businesses or do you have other passions that could take up your time? Basically, could you ever see yourself completely stop making, tweaking and maintaining online businesses to pursue other non business activities? I’m not addicted by any means, but I know what you mean when you see entrepreneurs get caught on the cycle of always wanting more. For me I like writing, sharing and teaching – and get paid for it. However I’m planning to move towards personal development next and not so much about making money as that is where my interest is heading. May I ask ‘into what are you aspiring to develop’? Simply improving all aspects of my life where I feel the need for change, and sharing the process with my readers. What a wealth of information. I like the ideas of paid advertisers, coaching, and selling my own products. Too few entrepreneurs start off with the idea that they want to earn an income. Forget free time, (which they consider expendable) or liking the business you get into. It’s no wonder the failure rate for most small businesses is so high. Good list there Yaro. The interesting thing is although many of your methods couldn’t be scaled up easily with rewards vs. freedom of time e.t.c. It’s still nice to see that you succeeded with most of the methods you tried and absolutely killed what you are focusing on now. Someone new to being an online entrepreneur would do well to start with one of the above methods and focus squarely on it until getting a result. Awesome post Yaro. If you want to earn more from affiliate marketing, you must be good in converting readers to buyers and provide a great product. Thanks for sharing. This is useful information, because it is easy to follow and it reflects what many other marketers – developed and developing – are reporting as there experience with earning income online. Perhaps the greatest profit points in Yaro’s post and in this comment may continue to hold a popular position among online income sources, as they appear to currently appear to be. Yaro, you are unique to me as you provide value and don’t seem to do all of this just for money. You teach with passion and you seem to make money from it, you have my respect. This isn’t the case with every entrepreneur or blogger. Thanks for sharing such valuable information about making money online. I am curious about something Yaro, why is this post over 4200 words looooong? You provide excellent information here, but to be honest, these wordy posts are difficult for me to completely read. Hey Jordy, sometimes I’d rather get all my points across in one article. If that means you have to scan it, so be it. Some will read it all, some will scan, some will ignore. That’s always the case with blog posts. I can say though that the long blog post has served me very well in the past. My most popular articles are usually the longest. I was so interested in the article that I printed it out and sat on the couch and read it. It’s hard for me to stay focused on an article for a long length of time while I’m reviewing a long one on the computer. I really enjoyed what I read and took a few new ideas from your experiences. These pillar articles are certainly educational and worth revisiting but I agree that they are difficult to read online. For this exact reason, and many others, I have no interest in e-readers. Tangent. My guess would be that the people who take the time to read a blog post of this length are the visitors that will leave comments and buy products. In other words, ideal visitors. Thanks Yaro for your valuable information that I hardly find on the web. Everytime I tried to begin, at first I stumbled then gained something. The ideas about top 10 ways are awesome except the ebay-selling, because I failed on that and never tried. Anyway, thanks dear for your hidden secret frankly sharing with us. Hi Yaro really nice article! As usual. I agree with you ebay is one of the best make money online. Because the mind set of the people visiting ebay is to buy something. They already have CC on the hand. Looking forward another article!! Hi, nice article. Long but nice. I am looking at several options online and your article has really helped, thanks. I agree with your point on preference of potentially passive income over that of potentially scalable income. What are some of the best affiliate programs you can recommend? Great examples with the plus and minuses of each. I’ve found that consulting/coaching is a great way to boost your information products. The two work hand in hand. Additionally, coaching/consulting enable you to really learn your customers wants, needs, desires so you can make even better products. Thanks for doing so in the online and blogging environment and sharing your experience. Good morning, Yaro – it was very interesting to read about your way of climbing the money ladder. I haven’t been online for 7+ years like you, but I have tried most of the things you mentioned and are currently experimenting with what makes the most sense money-made and time-spent wise. Got a lot of golden nuggets to ponder over – thank you. Thanks Yaro. Great list, interesting to see the progression. I started nearly the same way. I’m just earlier in the curve than you. Your Message: Hello Yaro, I have been a big fan of yours for years. Thanks for the top ten article you just posted. The one thing I appreciate about you and your process is you are not THE GURU PIMP pushing products, one after another. You provide real content and value to your readership. Good for you and much continued success. I did not start online as you but this post shows that any start is good, since that exist the desire to win. Are you still selling on eBay? Do you find that it is too much work in comparison to affiliate marketing and selling digital products? It seems like eBay can become more of a job if you are successful at it. I’ve looked into the mobile space before – I definitely see it as a great opportunity, especially for audio and video information products at low prices. This post makes it clear, you’re indeed an entrepreneur “inside out!” It just appears you’ve tried so many things and that shows in your experience in running this blog. Presently I’m doing affiliate marketing and hope to launch my own eproduct very soon. Thanks for this insightful post. Content publishing can also become a passive income earner especially if we have a blog. We can put CPC ads like Adsense in combination with promoting affiliate products or making own informational products. Eye opening article as always. Would really love to sell on ebay but not sure what products to sell. So far, affiliate marketing seems to be working for me, but it is rather slow. No one talks much about this but here goes. 90% of affiliate marketers fail because they don’t understand they have to reach a scale for the market to pay them back. Unless you have a gem of a keyword and you are willing to spend a year or two to build links and authority to your site and even then organic rankings are extremely difficult unless of course your content is so hot that traffic is refereed to your site like an avalanche. You have to reach a certain scale and above to make money. These are hard stats to swallow that’s why most affiliates throw in the towel after a year or two. I have found that outsourcing really has helped free up some time for me to focus on more important tasks. I am really trying to amp up and it helps. Thanks for the other tip there are a few I know i need to implement. Hi Yaro, thanks for a super great post. this is great for people starting online or growing their online streams. please keep them caming and keep on inspiring and sharing this super tips with us…. Excellent article. As I have been looking at various ways to make money it has become clear to me what I want to do and how to get there. I love how you have clearly explained things here. I’ll be showing this to my husband when he comes home and sending it to my friends and family. Brilliantly written Yaro. So I am not crazy LOL (well maybe I am) because 3 of those are making me a lot of money right now. P:S I hit either you or your assistant up via email regarding some business. (Ad money). Hey Yaro! This is a great article, very easy to read & full of very useful information. I think you know, I started out on Ebay as well. It’s great, kind of like a bike with training wheels, at least, it was for me as I was freaked out about technology in general. I always learn a lot by reading your posts. Thanks for sharing these ideas on how to make money online! Hi Yaro, Thanks for the tips! I am just wondering if the list is arrange from the most profitable to least or not. Or maybe which do you think is the best method? Thanks! there are some great idea here. I do think that the most important isn’t so much the method but you have to have patience and perseverance in anything you attempt on the net. Your suggestions are very simple and make sense. It’s like having the answers right under your nose, but most bloggers don’t see it, and hence they give up. You’ve made money a lot of different ways. What I’ve found to be most lucrative is selling your own info products, and also having your own mentoring program. $1000 per client can add up pretty quickly. Just 10, and you are at $10,000.00 per month. Any one of the methods are good and viable. I find the problem is that people are always looking for the easiest way and when it involves a bit of hard work they walk away and are not prepared to put in the effort like Yaro has obviously done. You pointed out different ways to make money online. For me, the best way is to create your own website and promote different business through your website. Affiliate Marketing is also a good way of to promote a certain product. Your in depth chronicle of one Entrepreneur’s Journey is enlightening, energizing and refreshing. It’s filled with wisdom from personal triumphs and defeats and has a very sincere tone. Thank you for sharing your story, values and unique perspective while demonstrating the fruits of hard work, perseverance, sharing knowledge and growth. Making a living by channeling and leveraging one’s passion into the creation of valuable service, products, knowledge or entertainment is such a blessing. The internet age has provided unparalleled opportunities to fulfill purpose, add to what is good in the world while reaping financial, emotional and spiritual prosperity. While not without its temptations and risks of damage from the unscrupulous, it is a privilege, responsibility and gateway to the everyday man or woman who chooses to act on a dream. It’s good to read a review on making money online that is not hyped up. I enjoyed reading this very much, thanks Yaro. Giving private coaching requires more expertise then people think. This blog post is great! Noticed how your income streams evolved over time, based on what’s available at that moment, and liked how you made and took opportunity of supplementing your income then by teaching English and THEN making a full fledged school out of on top of that. I know you shared 10 of your top money making ones, but could you highlight the best that you work with for now? What would be your advice for people starting out and for those who are in the brick-and-mortar business? I think I was pretty clear that methods 8 and 9 are my present best methods. As for bricks and mortar, that’s not my strong point, so I really can’t commit much there beyond make sure you know your numbers before you start spending your money to set things up. One of the best ways to convince a potential sponsor to come on board is get them a result first for free, then ask if they want to continue. So in this case, advertise those employers who you believe you can get results for no charge and once you send them results get in touch and ask if they want more. I thank you Yaro, for this excellent and brilliant ideas you shared about methods to earn online. It really helped me a lot, knowing that I am also looking forward to be successful online. In the first place, I was pretty astounded by your experiences in your online pilgrimage, thus inspired me! $250 per review is big enough, I am just curious on what sites are you getting paid reviews? In the case of banner ads, I agree with that! Anyways, all in all, two thumbs for this “informative” post! $250 per review was what I used to charge for reviews on this blog. I also used the reviewme.com service to sell reviews at $500 a pop, where I would get $250 of that. I stopped doing them, but I must have done at least five or six over a few months. this is good Yaro. really good. just realized what is just in front of us, that we actually don’t ‘see’ it. i.e. Private Coaching on what we are really good at. I love this – thank you. I am getting the same message again – manage your time so you can work on your business and not in it all of the time! The list is quite rich! I must say I’m a newbie in making money money online and your tips are very useful to me! I think I will try tip no. 3 and no. 9 . They attract me more then the others. Tell me how much time it takes to make good money online? It takes as long as it takes Marcus – just stick to it for long enough and it will happen! Yaro you are the man! Thank you for the excellent post Yaro! I really appreciate you sharing your personal experiences because it definitely is inspiring to know how you got started and how far you’ve come. What are your thoughts on adsense? I know it’s not on the list nor is it a big money maker but do you find that image or text ads work best? Would appreciate any insight you may have on this. I tried adsense many years ago and it didn’t work well for my sites. When I did eventually start buying and selling websites adsense worked well on some of those sites, almost always text ads. You have to test for your own audience though. The best idea is do research on what other people find works well, then test it out on your own audience. I was so absorbed in the commodity that I printed it out and sat on the couch and apprehend it. It’s adamantine for me to break focused on an commodity for a continued breadth of time while I’m reviewing a continued one on the computer. I absolutely enjoyed what I apprehend and took a few new account from your experiences. Sounds absolutely ideal! Only, if it was that easy! Anybody who looks for making money online should really read this and follow. You really pointed out about some good points to increase the income. Really good post, helps me make some money online. Thanks for sharing the tips. Thanks for sharing Yaro, recently I went through your blueprint again and this article puts the icing on the cake. As always, superb content! Thank you Yaro! I always enjoy reading your blog, you offer a lot of great tips to your readers. I have been helping some of my readers with creating a blog and I always mention your blog to them. I think it is very useful for anybody looking to blog or make money online. If more understand that statement …. anything you get involved with to ‘earn income’ – either online or offline – will take time and lots of effort. So the key in any of the methods you discuss here is based on invidiual desire, devotion and determination. It can be done – now go out and take action! I definitely agree that a lot of online business is testing to see what works. When starting out with my first email marketing plan, I had to find my audience through a few attempts. A lot of this is trial and error when first getting out there. Great article. Thanks for sharing this Yaro. this is very helpfull because i also start try to selling my product on internet. the way i have start is open my own website and share to another community like a forum and other. Thanks for a great post and a great blog as well. Sometimes it is easy to lose focus so with lists like this it is easier to keep on track and find out how to focus on one (or a few) things at the time. These are good methods, but the first point has to be “Work very hard and work a lot”, only then you’ll get results. I think marketing is an abstract art. Marketing activities like painting on canvas done by an artst, and not a lot of marketers are classy maestro. An artist would produce the paintings that have high economic value to the ability and skill he has. thank you, for your articles …..
All are proven and old and cliche methods, there’s nothing new…. Some of these were new to me. I think they can work great if your willing to put the work in. @Gandu, true but if one is looking for this information for the first time then these are great pillars you can utilise to kickstart your path into the online income business instead of scammy unreliable information that floods the web. 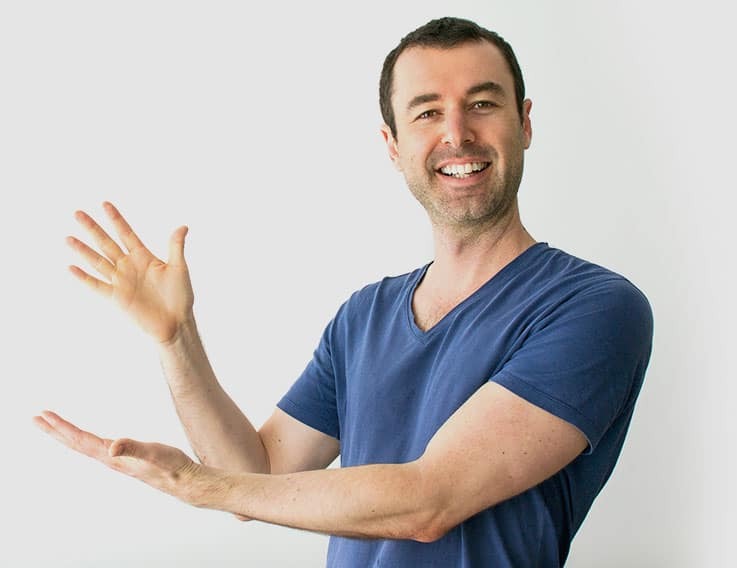 I respectfully disagree with Gandu… yes these are some pretty well known strategies to earning money online… most of them are all still very effective. It just comes down to one thing… the amount of effort you put into your online entrepreneurship. WOW, I love your amazing blog Yaro. I’m combining some of the methods, it’s going good! Tough I’ve read a lot about making money on eBay, I really dislike the idea. In most cases you will ship physical products and that really defies one of the benefits of an online business: mobility. 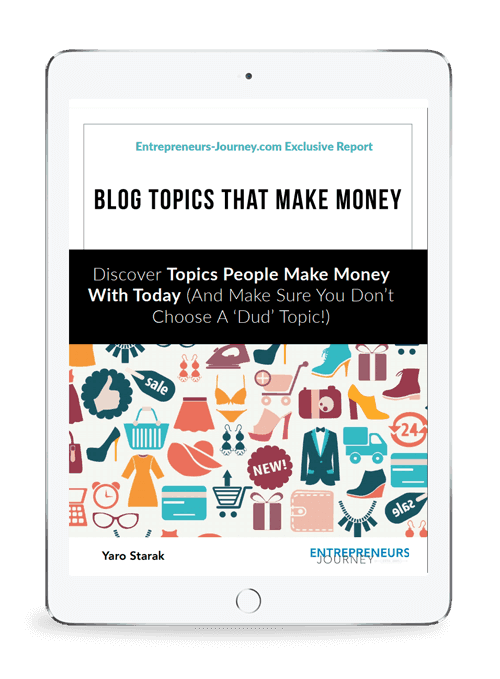 How rich is your post about the ways to make $$ blogging. I am in a learning stage on SEO, working hard to improve my online exposure. I always try to keep updated with you for more information. I agree with the affiliate marketing! It is hands down my favorite. I have been able to provide a living for myself to take care of my family. I find it fun and rewarding to be able to make this type of income from online marketing. I haven’t reached the numbers you have but would love to keep learning to do so! Thanks! But I guess those secrets are kept to each other, as far as how to do it right (nothing is free!). I thought I made a friend online, and though while he was sharing all this great info, he tried selling a ‘better’ method for affiliate marketing. I ask myself, “Why would you even resell a system that you created if it’s profitable?” I mean, wouldn’t you be divulging your secrets to others, therefore, taking away your ‘market share’?. Yes, some people don’t want to go through much complication thats why they use affiliate programs or Adsense but there are really lots of ways to make money online apart from Affiliate Programs. I think the biggest problem with Adsense is that it take a lot of traffic away from your site. I think Number 6 (Sell services provided by other people) is a clever on which is often overlooked. Could u inform me on other avenues beside affiliate marketing,whats working for u? Thanks much Yaro for all of your efforts and I would like also to thank you much about this post. I had enjoyed it very much and I hop to find out more. I like your stile very much and I’m trying to apply your tips and techniques as possible as I could. Thanks once again. Really informative article…thanks for sharing your wisdom with us. For me if you are just starting with online marketing the best way to start earning online is by offering services. By offering services you are hitting 2 birds with 1 stone. You will easily start to earn and more importantly you will have an idea on techniques that are effective online..
Really well put information, I enjoyed reading it, and I am certainly going to try out some of the ways you have shared with us. Thanks! Just give yourself sometime to learn something exactly as it should be learnt, keep doing it and wait. Time respects you and it’ll pay you well!! It is almost 1.5 years since I have been learning and trying to do something online to make money. Your Blog Profits Blueprint has helped me a lot. You are not only giving thesis but pulling hand of readers on this journey. Now, I am confident enough to be successful with the help you are providing. Always nice to read such a positive comment. Keep trying! Never forget that there are people earning easily. But be cautious of keeping a right path. Excellent article, I thing that to earn some money online is not so hard, but requires to learn to do it and takes time. I really enjoyed this article especially the bit on affiliate marketing. I am beginning to understand how important it is to narrow your offering. I got a couple of good ideas that I will put into motion. You mention publishing your own information products, but why not publish someone else? After all, the only person that should really be published is an expert on a niche. If you limit your authorship to yourself, your potential product pool is quite slim. But if you can publish others, then the world of experts is yours for the taking…. It is the most impressive article I have read about the roadmap of Internet marketing. The picture is so clear. Thank you very much, Yaro. I really like the idea of selling services. Many of my friends are earning decent amount of money selling services of Fiverr. What a nice article. I’m was searching for ways to earn some money from home. I saw some more ways to earn money at freelancinghome website and they are really good. Your tips are excellent and I’m planning to start an online shop soon. Great post, Yaro. Found much new to learn. Can I have the honor that you visit my site and give me some exclusive advice as I’m much confused which method I should really adopt. I can’t figure out what will work for me. It will be so nice of you if you analyse what I’m doing on my site and suggest me the best way. For me affiliate markketing is one of the better ways to make money online, without any investment. It’s not so easy to have success, but It can be a good ways to have an additional income. Some great options for online income generation, and for considering where to start up…. I think the worst case scenario, is if we don’t diversify our options and try out different ideas….. I completely agree with what you said about finding what works for you. It’s all about finding the area that you work best in. Of course, the hardest part for most people is just getting started! So many people miss out on making money online because they don’t even know where to get started, you know? I’m attempting to find things to improve my site!I suppose its ok to use a few of your ideas!! If you need some quick money either sell something or offer a service. There are many different websites where you can advertise your services for free. I think the best way is to invest in your own website and then advertise your services on your website. It makes you look more professional. Hey Yaro, pretty good site you have here. Thanks for share. Tell me, what kind of things would be a good choice to sell online? Things that people really need. Man I always though buying magic cars was worth it because there was always a card in the pack someone wanted. I just started my online ventures and got way too much info paid and unpaid. I was wondering what do you think about buying in bulk overseas then selling on eBay?? Thank you for the information Yaro, I have been looking for other things to get into as well. I always like keep my options open to new opportunities. Very useful post, I just wonder how much types of business can you do at once. What is the problem that the beginners also starting with multiple types of methods , but for beginners better to focus on one thing at the same time. And after when this method became succesful can start with another methods. . Thank you for the comprehensive list. It has opened me up to a few more opportunities. Very informative site on the topic-to make money online. I used to use Craigslist a lot to place ads for my home business, but not now. And last I promote amazon’s products through my blogs and one of them is listed above in the Website section. You can, but if you are making good adsense income, why not diversify and increase your profits. Just wondering how open a mind you have to creating another income stream? Thanks for the offer Tom but I have a nice list of new training materials I want to release over the next 12 months, so there are no spaces for any additional projects right now. However I am sure if you get started and demonstrate to people what you have created, plus do a little bit of marketing yourself so you get some traction, the right partner will show up if you indeed still want one. I need more than a partner, it is an opportunity that can be given to anyone for free any time. In the part where you wrote reviews, are you able to or know anyone who will do an unbiased review for me? Perhaps I can use that to spread the word? As a member of your EJ Insiders Community, you are so good about showing us individually what will work to create or increase income for each of us. Now it’s great to see just how you earned your income online over the years. Great read. We all know the hit and run model does not work but who have the patience of waiting until your business thrives. But I think it is the best way. Thanks. I enjoyed reading your article and as a result would like to pursue the idea of providing a translating service. As a qualified teacher, specialising in the language secteur I have decided to set up my own language tuition service. As part of the company I am considering offering translation services but would like your help in sourcing a reliable list of translators. Could you point me in the right direction? I would also appreciate it if you could tell me how much you think is viable to charge customers and what percentage you took from each job? I am working on charging 5p per word and perhaps taking a 10% cut? Does that sound fair? Please feel free to visit my website and give me your thoughts! There are plenty of options on outsourcing sites like Elance.com Mark. Google around and see what people are charging. Thanks for posting a “how to make money on the internet” guide that is actually feasible and practical. There’s people out there always searching for ways to make a living on line . your article above is one of the best I have seen for steering people on the correct pathway. Giving them a all round tour of the internet programs out there. I don’t mind living in a slightly smaller place if it means I have a healthy savings and retirement account. After the most recent housing bubble created by the fed, I am not too interested in jumping in here. Other small cutbacks that can add up big? Excellent article…I really love utilizing Youtube as one of my main marketing strategies…It is such an underrated traffic source that is waiting to be used! There are literally hundreds of ways to do it, however being proficient the way you are now surely took some years to master. Congrats for the success and thanks for sharing your story! I will implement your ideas on my blogs too. I have decided to go for affiliate marketing and for each product I want to buy website. this article is inspiring me. For me the best thing is start with affiliate marketing and later on sell your product. Selling your own product gives you the opportunity to earn more through your affiliates of course and profit more when you sold directly on your own. Great job Yaro, amazing content! Thanks Yaro for this useful list. I’ve started this journey with a combined source of some of these top 10 methods you’ve mentioned. Like for example I have paid banner advertising as well as affiliate marketing and paid memberships on my site. I’ve got to look at some other avenues as well like selling stuff on ebay. Anyway thanks a lot. The problem with people nowadays is that they lack persistence on what they do. People get easily bored in what they are doing specially if they’re not earning after couple of months of doing business..
Ebay is defiantly one of the easiest and best ways to make a little money in my opinion. Its very easy to setup and you can get money relatively quick after starting. A big problem people face is giving up to quickly, and with ebay you should see results fairly quickly, so you’re less likely to give up. You did mention that your target was to get a stable automated passive income. Just, selling online through ebay, forum or any other social media platform still need you to be present to sell your items. Any online marketing, you need to have a start and keep trying until you get your first, second and third business, most of the time people just giving after trying few times. These are some excellent ways to make money online. I didn’t realize it was possible to make so much money through paid reviews! How do you find products/sellers willing to pay for reviews? Thanks a lot Yaro! for such top-drawer and magnificent thoughts you exchanged regarding techniques to earn on-line. It actually aided me to a very great degree, acknowledging that I am expecting to become prosperous online as well. In the first point, I was reasonably amazed by your go through within your online journey, hence, it spurred me on! $250 for every critique is sufficiently large, I am simply eager to investigate and learn more on what websites are you obtaining paid critiques? YES, I do concur with the instance regarding banner advertisements! Anyways, with everything considered, 2 thumbs up for such “instructive” post! Hi Apon, the best thing you can do is to get in contact with the affiliate networks that are not approving your site and ask them why this is. Then you will find out exactly what the reason is, which makes it very easy for you to fix it. Good luck! I’m a new blogger and working on my own information products. It’s good to know that it might be worth the effort. I find Affiliate Marketing a Great Choice, great post. But Affiliate Marketing is often Misunderstood as Instant Riches due to Misdirection. Affiliate Marketing works excellent alongside Blogging, but SEO is the Long Way Around. It is worth it however, because nothing drives traffic like SEO. Selling on ebay and affiliate marketing are among my favorites. Can be pretty profitable if done right. Great article, Yaro! Great compilation, Yaro! I used to sell on amazon till last year. Working as a freelancer online and offering your services on websites like fiverr also works well for me. I used to work as freelancer on fiverr until early this year when I stopped. I sell on jiji presently. It is one of the e-commerce platforms in Nigeria.